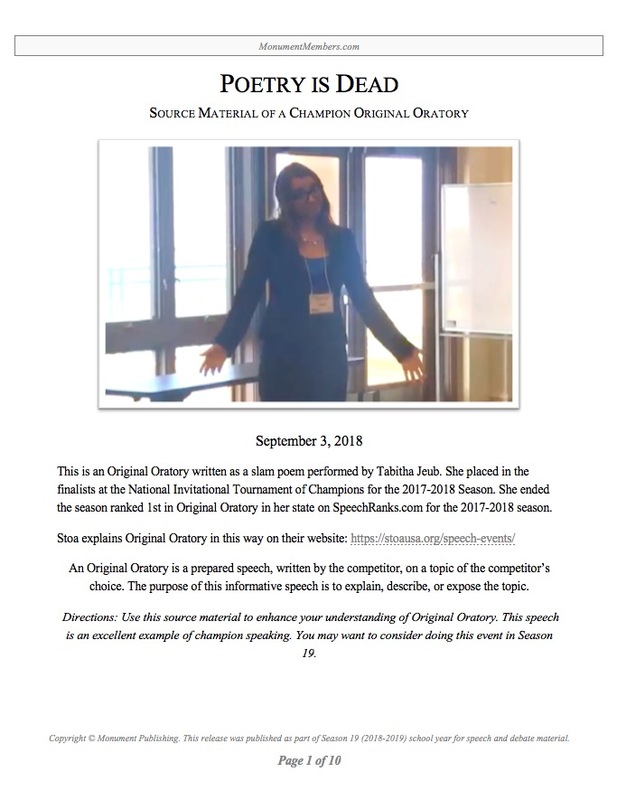 This is an Original Oratory written as a slam poem performed by Tabitha Jeub. She placed in the finalists at the National Invitational Tournament of Champions for the 2017-2018 Season. She ended the season ranked 1st in Original Oratory in her state on SpeechRanks.com for the 2017-2018 season. Use this source material to enhance your understanding of Original Oratory. This speech is an excellent example of champion speaking. You may want to consider doing this event in Season.